Please note that the Punch Bowl is permanently closed. This is an easy walk over farm tracks or sheep pasture. 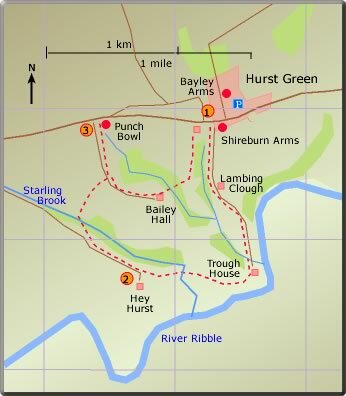 For the first part the path follow the Ribble Way which is well waymarked. After the Punch Bowl a pleasant stroll returns the walker to Hurst Green.